Although our kids are not in organized extracurricular activities and sports at this point, we do like to expose them to a variety of different sports. We recently started working on baseball skills with our boys, for instance, by taking them out to baseball diamonds to run bases, hit balls, and practice throwing and catching. 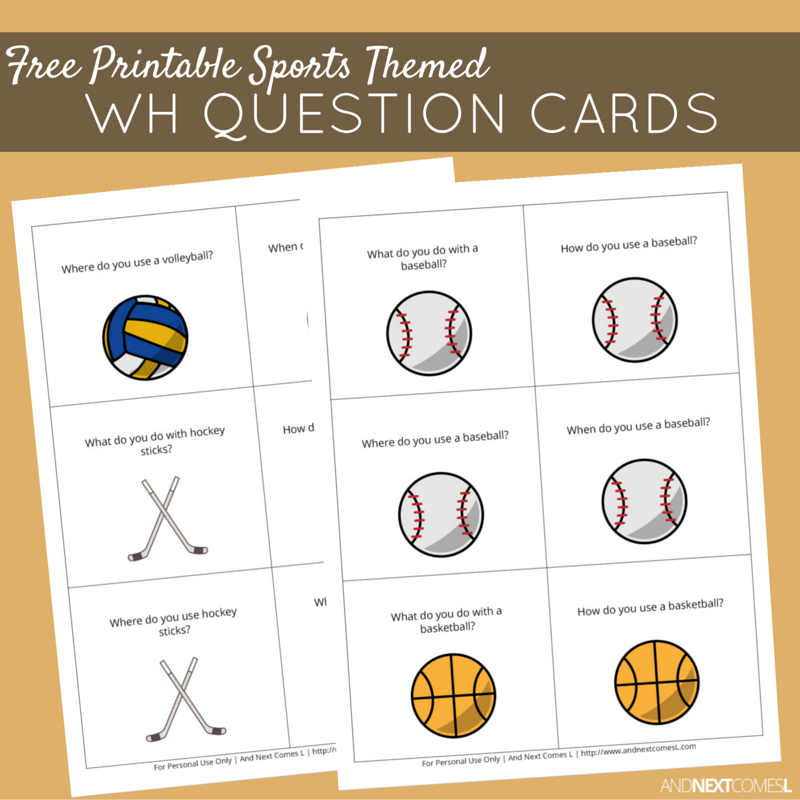 In addition to building their gross motor skills, I'm hoping J will pick up on key elements of playing sports that are also targeted in this set of free printable sports themed WH question cards such as knowing that we kick a soccer ball and throw a baseball. Please keep in mind that I am not a speech therapist. I made these cards simply to help my son practice WH questions, oral comprehension, and expressive speech. Some of the questions require more detailed answers and/or knowing more about particular sports such as the names of places such as soccer fields, hockey arenas, etc. 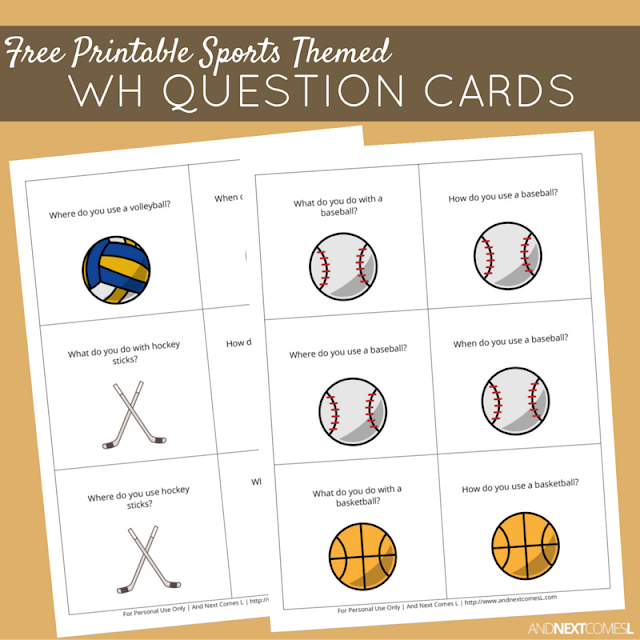 This printable pack includes 36 sports themed visual WH question cards. I have also included alternative cards to cover the difference in names for soccer and football.